Keeping good customers is increasingly central to maximizing profit and Customer Lifetime Value (CLV), as highlighted in the March HBR Idea Watch "Winning Back Lost Customers." As our economy shifts toward subscription-based services, companies are realizing that customer acquisition is very costly, and saps profits if churn is high. Win-back offers must be personalized more smartly, to present the right value proposition to the right customer. Automatically create personalized win-back offers that are adaptively win-win. Shift from reactively trying to win back customers who are almost lost -- to proactively enhancing the customer journey to retain them before they get lost at all. FairPay is a new revenue architecture for creating win-win offers, both for retention, and in routine business. Retention is a perfect test-bed for experimenting with this new strategy at low risk -- a new way to seek low-hanging fruit -- and then to build on that. 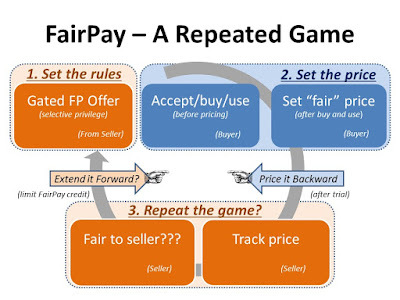 With regard to conventional win-back offers, FairPay can initially be trialed as adding a new, more automated, and more efficiently win-win tool. But the deeper breakthrough of FairPay will be to put proactive retention directly into the customer journey loyalty loop. We we know that an ounce of prevention is worth a pound of cure, but even these smarter retention strategies are just belated attempts to cure a customer's dissatisfaction with the value proposition after it has become a serious problem. When proactively integrated into the customer journey loyalty loop, FairPay creates ongoing dialogs about value, so that potentially good customers are routinely engaged to jointly craft personalized value propositions, long before they approach the point of being lost. Just as smart marketers are building loyalty loops into every cycle of the customer journey, they can do the same for value and retention. Think loyalty loop = retention loop. finding the right value propositions to present successful "win-back" offers tailored to those individual customers. Key success parameters for a retention strategy are both cost and ROI. Typical options include discounts, service upgrades, and combinations of the two, and results can be enhanced by tailoring the nature of the offer -- and whether to make an offer -- to the reasons a customer seeks to cancel. The sidebar of the HBR article explains how Cox Communications is getting smarter about customizing its retention offers to individual customers of its cable TV and Internet services, and triggering such offers at the right points in their customer journeys. A big step in the right direction -- of customizing the pricing and features of their offers -- but still doing it in a costly manner, with human intervention, on a reactive exception basis. We look first at doing this better and more automatically, and then at doing it more widely and proactively. First consider how FairPay can enhance conventional win-back offers. As described on this blog, FairPay is a new win-win pricing strategy that provides an automated way to adaptively customize business-consumer relationships based on value -- with the full cooperation of the customer. 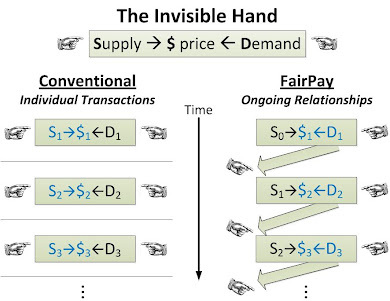 FairPay gives customers new power to dynamically set prices based on their individual usage and value perceptions ("pay what you think fair") -- after experiencing the product and knowing its actual value to them -- while requiring that they satisfy the seller that they are being fair and honest in order to continue that ("play fairly or lose the privilege"). This draws on a large body of behavioral economics on the human drive for fairness, and turns pricing of subscriptions into a repeated game that motivates customers to set fair prices in order to maintain this win-win relationship. Thus the power of the consumer to set prices is fully balanced by the power of the provider to demand more generosity or halt the game. FairPay serves as a new way to do value-based pricing, in which prices are set based on the actual value to the customer -- with a fair share of the value surplus going to the provider. Such value-based pricing methods have been widely proven in B2B contexts -- now FairPay provides a simple way to achieve similar results in B2C businesses. These new methods are not yet tested in B2C practice, but there is reason to think it is just a matter of both businesses and consumers learning how to apply them effectively. Retention offers provide an excellent place to test a variety of variations on this basic strategy in a controlled environment, and learn how to apply them effectively. FairPay generates an ongoing multivariate pricing experiment with each customer. Retention is a perfect place to introduce FairPay -- in a high-value, low-risk, easily managed and contained environment. FairPay can be offered to limited numbers of customers seeking to cancel, framed as a special trial offer that will be continued only if they price fairly, and only if enough other customers show that they, too, will set prices fairly. FairPay retention options can be offered selectively to known customers, based on data that suggests which ones are worth keeping and which ones seem most likely to demonstrate the positive social value orientation that will lead them to set prices fairly -- using strategies along the lines outlined in the HBR article.. Selection criteria can further isolate testing of FairPay to those customers with a history of relatively light usage -- for which discounted prices would be fair, a strong incentive, and still very profitable. FairPay can be tested in controlled populations, and framed as a special experimental offer, to minimize risk -- a privilege that will be continued only if enough customers cooperate, and revocable for any customer who is not reasonable. The HBR article emphasizes the need to be smart about what offers to make to which customers. FairPay offers an automatically adaptive way to do that, with offers that are flexible and constantly tuned to individual consumer value perceptions. 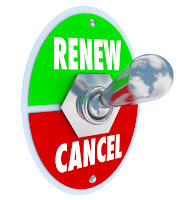 Customers seeking to cancel are sending the message that the conventional value proposition does not work for them. The way to retain them is to find a profitable value propositions that do work for them -- for their particular situation and point in time. FairPay offers an automatically adaptive process for doing just that. Why not try more effective pricing for those who are demanding it? Subscription businesses face not only questions of price, but also the dilemma of whether to apply usage-based pricing (which consumers find unfriendly and subject to nasty surprises), or all-you-can-eat pricing (a one-size-fits-all price that is too high for light users and too low for heavy users). This dilemma is outlined in Beyond the Deadweight Loss of "All You Can Eat" Subscriptions, That post explains how FairPay's adaptive pricing can work better than either option, adding a value focus to blend the best aspects of both plans in a dynamically adaptive way. Retention offers provide a perfect place to experiment with FairPay -- so that each viable customer can be offered the value they seek at a price they can accept -- which can lead to more revenue from more customers. The beauty of FairPay retention offers is that they are self-adjusting. Once you learn how to set key business rules for what to offer, to whom, and when, it then takes a minimum of live intervention by costly and hard to manage support staff. Customized FairPay offers can be made automatically, quickly, and at low cost, to every customer worth keeping. Based on what you learn in such a limited trial, you may find it desirable to expand it, refine it, and extend it more widely -- to apply FairPay to customer acquisition, special premium/loyalty programs, and perhaps even to your core subscription pricing. Managing retention on an exception basis is counterproductive. Do you let your spouse feel neglected or abused, and ignore that until they ask for a divorce? If customizing value propositions makes sense when customers ask to cancel, wouldn't it be even more effective before they get that far gone? Why wait until then to begin dialog on the issues? Think about what listening to your customers really means. That may seem impractical, but FairPay provides a process for doing that efficiently and profitably. Why are we content with poor value propositions for the customers who don't make the effort to complain? Why do we wait for them to cancel? 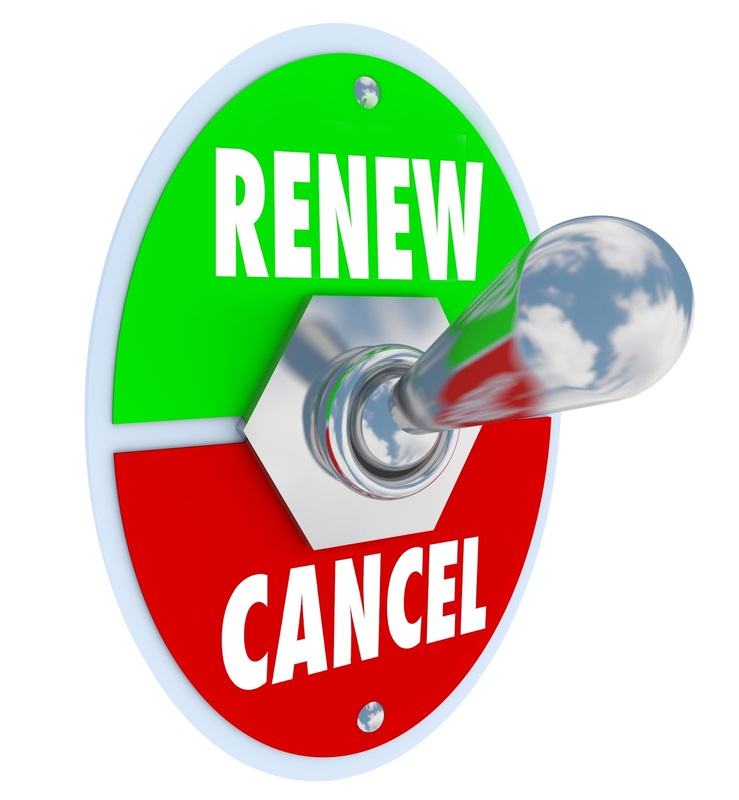 It may seem nice to get customers on auto-renew -- and hope they will never think about what they are paying and what they are getting -- but is that really the way to grow loyalty? 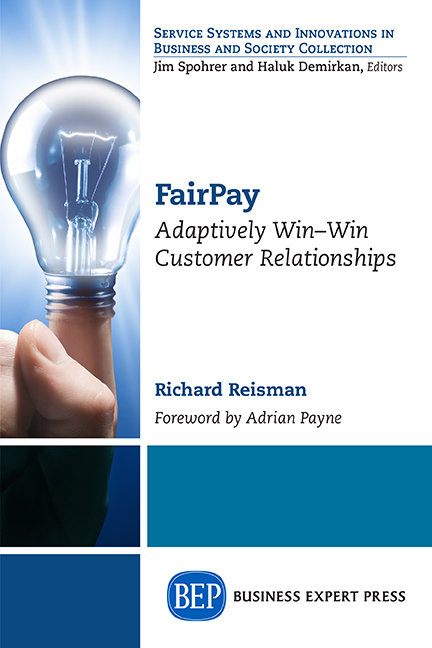 The whole point of FairPay is to continuously seek win-win relationships that customers are satisfied with. It gives early warning of dissatisfaction, and provides processes to seek to resolve issues -- as customers become aware of them, and long before they ask to cancel. The idea is to build considerations of value -- and how that drives retention -- directly into the loyalty loop, for every cycle of each customer journey. For more on this, see the post Win-Win Customer Journeys -- With Dialogs on Value.